With vast experience in mobile marketing, be rest assured Online Marketing Whiz will get you the best bang for buck. 150 times a day. Nine times an hour. According to the Android app “Locket” which measures how many times per day its users check their phone, the average user is actively using their smart phone 150 times a day, which is roughly nine times an hour. Imagine putting your business, products, and services in front of your audience on the one device they look at the most throughout the day – the one device that is always in their pocket and follows them everywhere they go? That’s the value of mobile marketing, especially considering that 80% of mobile device usage is spent using apps and games – a ripe environment for targeted ads. Apps make it easier for people to engage with your business. No matter what type of business you are, the likelihood is good that an app can improve some aspect of your business-to-customer/client relationship while also marketing your business at the same time. For example, if you’re a retail business – such as a restaurant – a mobile app could make it easier for people to order and pick up their food instead of having to call. Let’s say you’re a business-to-business (B2B) company who handles shipping logistics. A mobile app could make it easier for your clients to track orders, engage with support, and track analytics directly on their phone or tablet. No matter what you do, a specialized app that improves how your business interacts with customers is never a bad idea. There are a ton of free “Freemium” games out there. The only catch, usually, with these games is that they display ads. These can display as banner ads, pop-ups, full-page image ads, and video ads that appear between loading screens and so on. You can market to users through these ads. The great thing about QR codes (small, bar-code like prints that can be scanned by smart phones, which lead the user to download an app or access a web page…etc) is that they can be integrated with a large variety of traditional marketing campaigns such as direct mail, t-shirts, or something as simple as flyers on the street. You can also put them on labeling, receipts, and more encouraging users to scan the codes and take a particular action. The QR code could lead them to a coupon or – like in the previous example – it can allow them to download a game. SMS stands for Short Message Service and is basically a standard text message. In this case you would need to capture your client/customers’ phone number and utilize SMS to market to them as a follow up. Never underestimate the power of games. Although this isn’t appropriate for all business types, many organizations can benefit from providing simple, fun games that are actually part of their business. Let’s say you’re a local pizza chain. You could encourage your customers to download a free mobile game that allows them to play a pizza delivery guy from your company who must fight his way through a hoard of “Pizzambies” in order to deliver under a certain amount of time (perhaps the guaranteed deliver time of the company). The marketing campaign could encourage players to show their high scores within an establishment to receive a small percentage off their total price. This is just one example of how you can use mobile games to market your business. These are ads that show up on search results when people are searching – for example – Google using their smart phone. These ads have extra added functionality, such as click-to-call or maps. Curious How Mobile Marketing Can Boost Your Business? 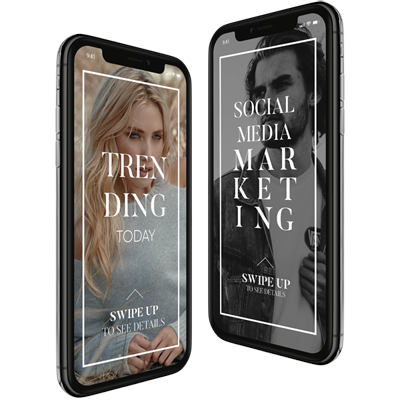 Our mobile marketing whizzes are experts in mobile strategy and will work personally with you to figure out a strategy that best serves you, your business, and your target audience. 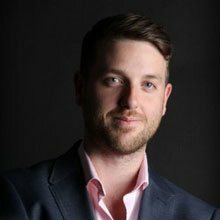 All of our strategies are tailor-made depending on your business goals, Alex is ready to talk to you on 1300 653 882 or drop us a line.